FAQs – The Second Wedge Brewing Co.
Is the tasting room/beer garden available to rent? Yes! Visit our Event Rentals page for more information. Please note that since rentals include our complete facility and require us to close to the public, we’re unable to accommodate events in the middle of the business day. We keep an events calendar right here on this site, and you can also follow us on Facebook and Instagram to see what’s coming up. About once a month we send out an email newsletter to 700+ followers with all the latest news. Want to join our mailing list? Just enter your email address in the footer below. We sure do. To book a weekend tour, just email us or call 905-852-3232 at least 24 hours in advance. Tours are max 15 people and last 25-30 minutes, and are free for paying customers. 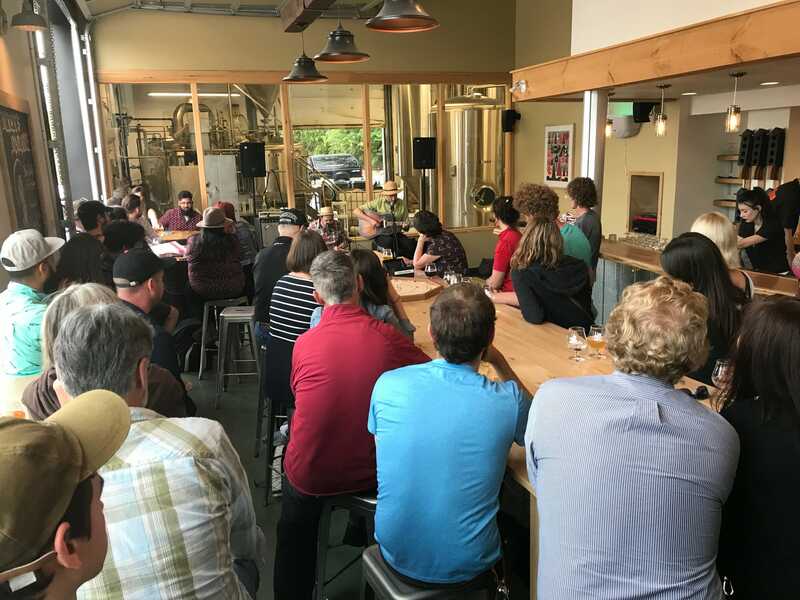 Weekday tours are also possible on non-brewing/packaging days. Let us know when you’d like a tour and we’ll do our best to book you in. Can you donate items to our fundraiser? We support charities and nonprofits whose work directly benefits our local community, such as Cam’s Kids, Uxbridge Loaves & Fishes Food Bank, Precious Minds and the New Animal Shelter for Uxbridge-Scugog. We plan our giving several months in advance, so please email your request to info@thesecondwedge.ca at minimum 6 weeks before your event so that we can consider it. Please note that we do not donate to private fundraisers such as stag and doe parties. Do you sell in bottles? Cans? Growlers? Yes to all three. 3 Rocks IPA and High Grass lemongrass saison are available in 473 mL cans, while most of our other beers are sold in 650 mL bottles (perfect for sharing). We also sell a beautiful 2L Palla swing top growler, which we can fill for you at “beer-only” prices with our Pegas Craftap filler – a great zero-waste option! There are always four different beers on the growler filler to choose from. I’m a musician. How can I get a booking? We have a lively local music community and a wide network of out-of-town musicians booking regularly with us, so it’s hard for us to prioritize potential new performers, of whom the list keeps growing! Please know that we’re most interested in nurturing up-and-coming talent, so we book artists who perform at least some original music. We also like to work with musicians who have an online following and can promote the show through their social media channels. Please send links to demo material, bios, etc. to info@thesecondwedge. If we can fit you in somewhere, we will reach out to you. What’s the Growler Club all about? 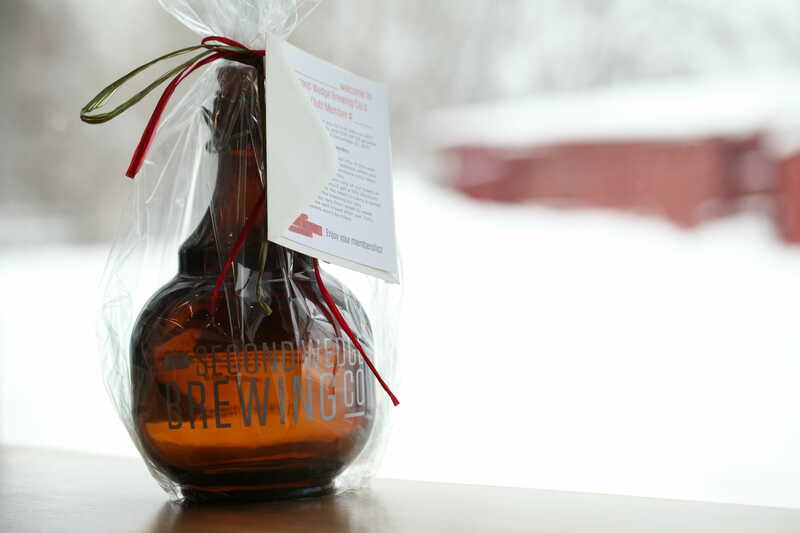 Our yearly Growler Club membership makes a great gift, or a treat for yourself! In 2019, we revamped Club perks to provide even more value. Members enjoy 10% off all growler fills, get an exclusive tee, and attend two members-only bashes with a guest! Growler Club membership costs $100 per year and runs from January 1 to December 31. You can sign up with Front of House staff any time. Is your beer available at the LCBO? Yes! As of March 2019 you can buy 3 Rocks at select LCBO stores. High Grass and 3 Rocks are both available at a growing number of grocery stores. See our Beer Finder for all the deets. Can I bring in my own drinks? I don’t like beer. UNDER NO CIRCUMSTANCES are outside drinks allowed, and the only alcohol permitted on site is the beer that we brew. We enjoy educating about beer and encourage you to try the wide range of flavours on offer here, as there’s something for everyone to enjoy. But if you can’t drink beer, we sell and serve all-natural craft sodas in a variety of delicious flavours. And tap water is always free! Do you serve wine or cider? No. We’re a brewery with a By-the-Glass licence, so we serve only the beer that we brew here. Yes! Our tasting room and beer garden are a great place to socialize your pup while you enjoy a beer. Owners must keep their dogs under control at all times and pick up after them. We have a comfy dog bed and a few toys, plus water bowls indoors and out. Absolutely! We’re proud to be kid friendly. We ask only that parents supervise their kids at all times, for their own safety and the comfort of all our customers. We have board games (and giant Jenga in the summertime), we serve all-natural cane sugar soft drinks, and there are change tables in both men’s and women’s washrooms. Strollers are welcome indoors and out. We serve snacks for two: cheese & charcuterie boards and in the cooler months, 4-cheese beer fondue with baguette. We also sell chips and Desbarres bean-to-bar chocolate bars. As we don’t have a kitchen, you’re welcome to bring in your own food, whether from home, takeout, or delivered by one of the restaurants in town. Please note that outside drinks are not allowed on site.